Window blinds typically come with either cord or wand tilt. 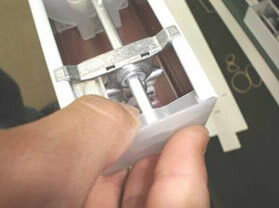 The blind tilt mechanism is the control that makes the blind slats tilt. 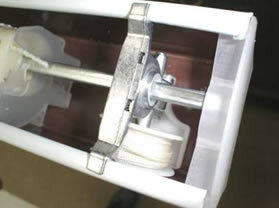 This article will discuss the basic steps on how to replace a tilter mechanism and repair blinds. 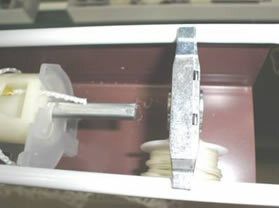 Original position of the cord titler as it sits in the headrail of the window blinds. 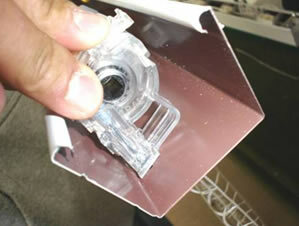 Remove the end caps from the window blinds headrail. Slide the tilt rod so the tilt mechanism is out of its range. 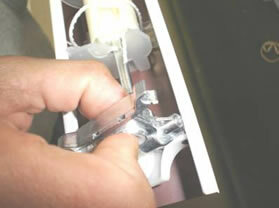 Snap the cord tilt mechanism from the window blinds headrail. 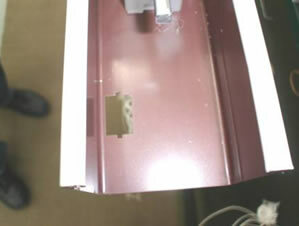 After revoming the tilt mechanism from the blinds, the headrail will look like this. 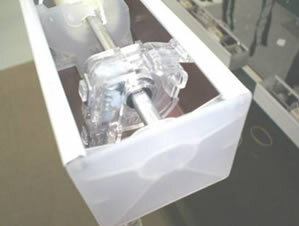 Snap the new tilt mechanism into the window blinds. This particular mechanism is for a wand tilt. 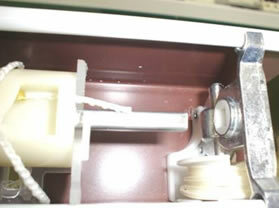 Slide the tilt rod into the newly installed tilter mechanism. 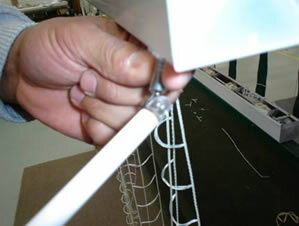 The wand tilter has an exact fit so that the rod will go through easily. Snap the end caps back onto the headrail of the blinds. 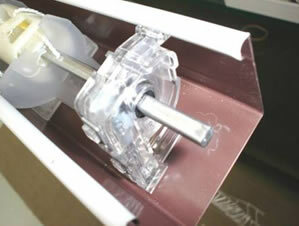 If installing a wand tilter, attach the rod on the hook of the new tilt mechanism. The window blinds are now ready to install back into the brackets. If you have other other questions about installing blinds ore repairing blinds feel free to contact Blinds Chalet's customer service. 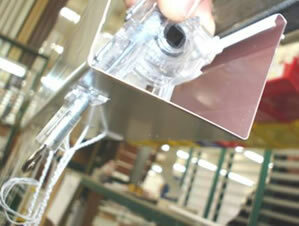 Blinds Chalet has more than 25 years of experience selling and installing window blinds. Attractive, high quality window blinds that fit any energy saving plan, decorating style, and budget. For information on what types of window blinds, blind accessories, and any other window covering needs, visit www.blindschalet.com.